Restaurant security systems are essential to preventing internal and external theft, improving employee safety and productivity all while enhancing customer satisfaction. As a restaurant owner, you have a lot on your plate. 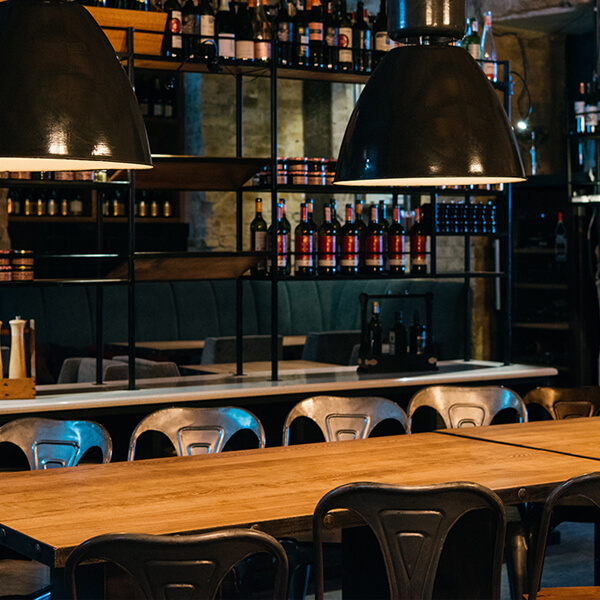 With security concerns arising from staff, customers and inventory, your restaurant needs a comprehensive security solution that allows you to retain maximum profits and control – night and day. Vertex Security has over 15 years of experience in installing and maintaining top-of-the-line security systems for restaurants and bars throughout New York City. As a leading security company, we’re committed to helping you run your business more smoothly, cost effectively and securely with a variety of cutting-edge solutions designed to prevent theft and inventory shrinkage and mitigate risk and liability. Whether you run a buffet, a bar or a subway restaurant, a robust security system is an essential part of any business. From your public dining or bar areas to backroom storage facilities to kitchens, toilets and car parks, we’ll work closely with you to enhance your security measures through custom-tailored solutions, taking under account your restaurant’s environment and unique challenges. Contact us for more information about our security systems and solutions for restaurants throughout all five boroughs: Manhattan, Brooklyn, Queens, Bronx and Staten Island. Our security solutions address the specific needs of the restaurant industry, helping owners focus on optimizing the success of their business. Video Surveillance: View your restaurant’s potential points of weakness in real-time and set up a solid defense against potential theft, vandalism and break-ins with comprehensive 24/7 monitoring. With our advanced CCTV cameras and IP cameras you can continuously record and store footage you can later review if an issue occurs. Remote Access Control: Control your restaurant or bar from anywhere, at any time. With our dedicated App, you can easily monitor activity at your store from your smartphone, tablet or computer, receive instant alerts and immediately verify alarm events with advanced digital video capabilities. Interested in a professional security assessment by experts in the restaurant industry? Our team will help you plan and design a comprehensive security system based on your specific needs. Contact us to learn more about our security solutions and working process.